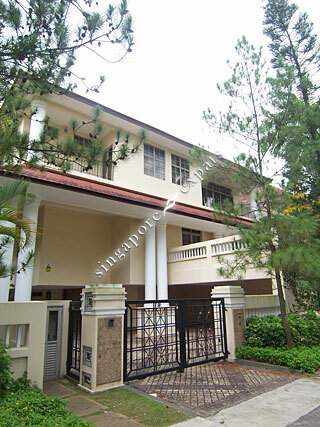 VILLAS HOLLAND is located at 2 - 4A BUKIT SEDAP ROAD in district 10 (Bukit Timah, Grange, Holland) of Singapore. VILLAS HOLLAND is a Freehold Landed Estate development. VILLAS HOLLAND is completed / TOP in 2004 (estimated). Educational institutions like THE EXPERIENTIAL LEARNING CENTRE, NEXUS INTERNATIONAL SCHOOL, DOVER COURT PREPARATORY SCHOOL, HENRY PARK PRIMARY SCHOOL, METHODIST GIRLS' SCHOOL (PRIMARY) and FAIRFIELD METHODIST SCHOOL (PRIMARY) are near to VILLAS HOLLAND. VILLAS HOLLAND is accessible via nearby DOVER, HOLLAND VILLAGE and BUONA VISTA MRT Stations.